I’m not saying that keto is all about indulgences, because it’s not. It’s about quality fats, low carb produce, organic grass-fed meat and dairy. But sometimes a girl just wants to have her caramel brownie sundae and eat it too. And stay in ketosis. I know the idea of low carb or sugar free caramel sounds a little silly because caramel is just burned sugar! 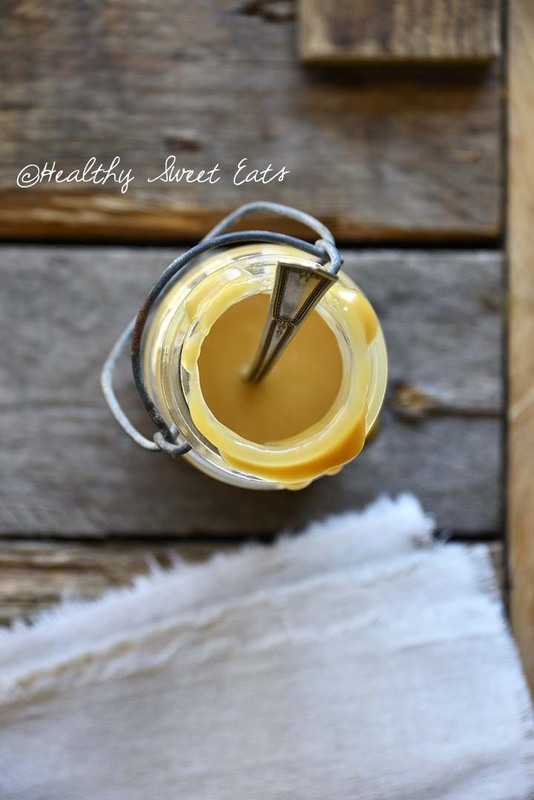 However, with the fabulous sugar substitutes that are available on the market today, Low Carb Caramel Sauce isn’t as crazy as it first appears. What is Sugar Free Caramel Made Of? Regular caramel is made by caramelizing – that is, burning – regular sugar. To make caramel sauce, the burned sugar is combined with butter and cream, and sometimes other flavorings, such as vanilla and salt. Sugar free caramel sounds like an oxymoron; how can we have caramel when caramel is inherently sugar?! That’s the magic of low carb and keto cooking, my friends. Sugar free caramel uses a sugar substitute, and of course keeps the butter and cream. In my recipe for Low Carb Caramel Sauce, I use a combination of granulated erythritol (which caramelizes like sugar) and stevia glycerite for sweetness. I don’t consider this caramel to be truly sugar free because I include a touch of blackstrap molasses, which contains sugar. However, this small amount of blackstrap molasses adds depth of flavor instead of sweetness, and don’t add a ton of carbs. Additionally, the blackstrap molasses slightly improves the texture of sauce. However, if you want a sugar free caramel sauce with as few carbs as possible, you can omit the blackstrap molasses in my Low Carb Caramel Sauce. Do Sugar Alcohols Count as Carbs on Keto? In general, sugar alcohols have less of an impact on blood sugar because the gut doesn’t fully absorb them. Because of this, sugar alcohols are typically subtracted from total carbs (along with fiber) to determine net carbs. Sources of sugar alcohols include the following: xylitol, erythritol, glycerin, isomalt, sorbitol, mannitol, lactitol, and maltitol. Stevia is a non-nutritive sugar substitute (non-nutritive meaning that it has almost zero calories) that tastes about 200 times as sweet as sugar. It is extracted from the leaves of the plant species Stevia rebaudiana, which is native to Brazil and Paraguay. Read more about stevia on Wikipedia, Medical News Today, and HealthLine. For the most part, stevia has a very intensely sweet flavor. 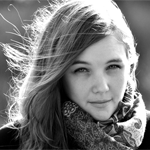 However, it can also have a bitter aftertaste at high concentrations that some people can detect more easily than others. Stevia is also a good choice for baking, but it requires a bit of finesse because it doesn’t act the same way sugar acts. Stevia is much sweeter than sugar, so not only will you have a sweeter flavor if you don’t compensate, but you also won’t have the bulk that sugar adds when baking. Additionally, stevia doesn’t brown the same way sugar does. Because of this, if you’re not familiar with baking with stevia, I recommend following a recipe as-written that has been tested if it calls for stevia. No, stevia will not caramelize the way sugar does. 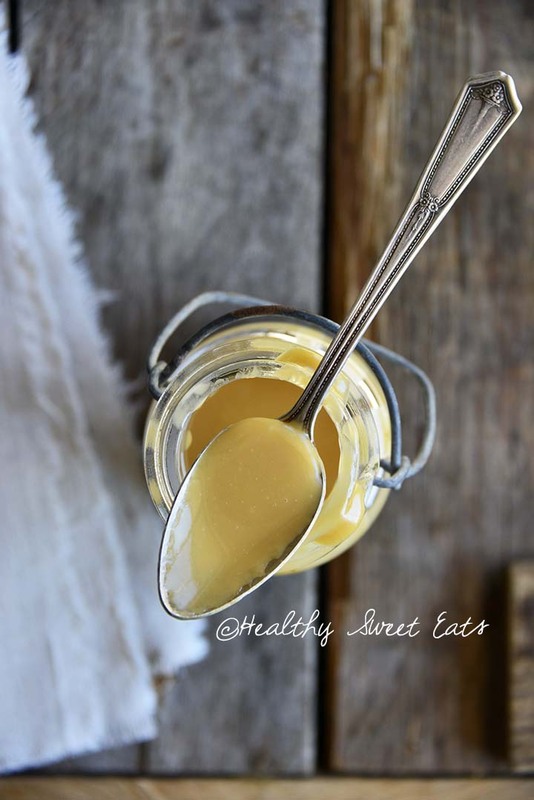 How Do You Make Caramel Sauce with Stevia? Because stevia doesn’t caramelize, if you want to use it to sweeten sugar free or Low Carb Caramel Sauce, I recommend using stevia in combination with another sweetener, such as erythritol. 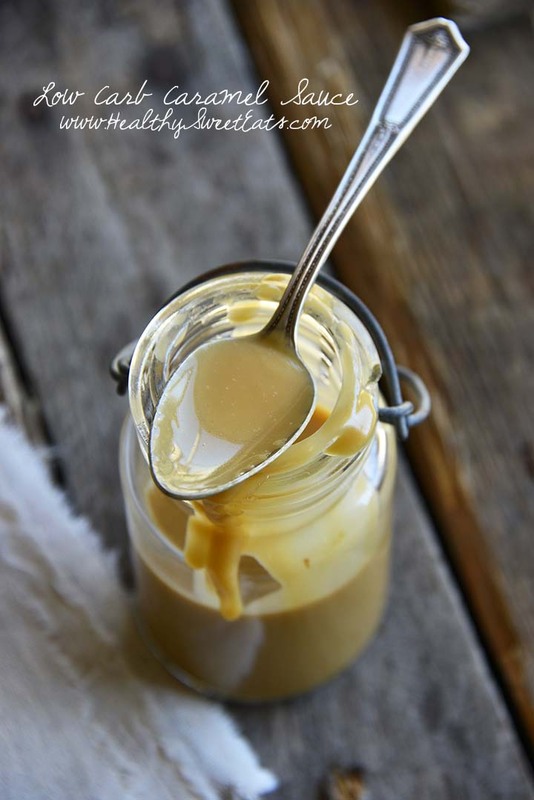 This is why I used a stevia/erythritol blend to make my Low Carb Caramel Sauce recipe. Erythritol is a sugar alcohol with negligible calories and carbs, which is frequently used as an alternative sweetener to sugar. I talk more about what erythritol is in my post on Vanilla Bean Low Carb Cheesecake Frosting. Erythritol is about 70% as sweet as sugar. The issue with erythritol’s flavor is the fact that it can have a slightly cooling effect. The best way I can describe it is a menthol or peppermint-like effect. When possible, use powdered erythritol instead of granulated, or dissolve erythritol in liquid. Instead of using only erythritol to sweeten a recipe, use a combination of erythritol and stevia. Erythritol cuts the bitterness of stevia, and stevia reduces the cooling effect of erythritol. Does Erythritol Caramelize Like Sugar? Yes, erythritol caramelizes and browns like sugar. 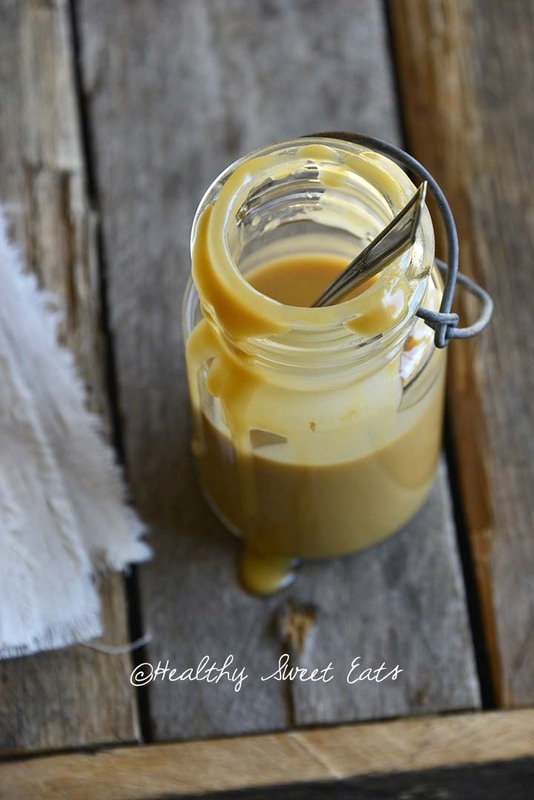 This makes it a very good option to make Low Carb Caramel Sauce! 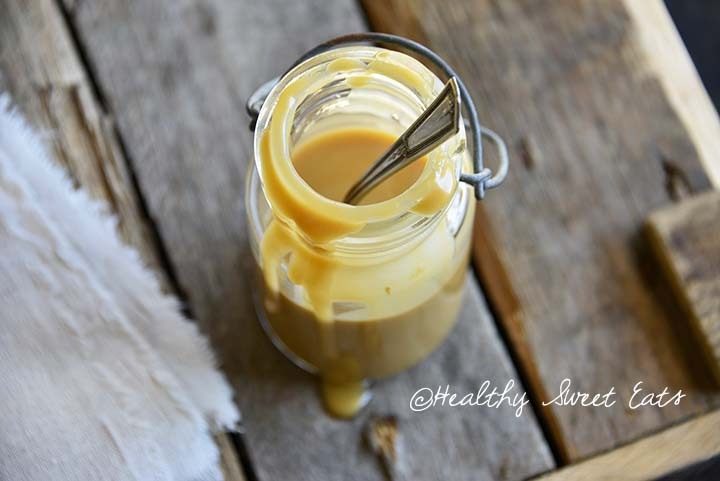 Low Carb Caramel Sauce takes less than 15 minutes to make and you’ll want to drizzle it on everything! Add the butter and granulated erythritol to a medium saucepan over medium heat. Bring to a boil and then cook until it turns light brown, about 3 to 4 minutes, swirling the saucepan occasionally.